Warning: potential spoilers for Captain America: Civil War in the article below! You have been warned! As Zack Snyder’s Batman V Superman: Dawn of Justice continues to underperform at the box office, we now set our sights on the next major superhero showdown about to take place across the aisle. Marvel’s Captain America: Civil War represents one of the most highly anticipated Marvel Cinematic Universe movies to date. Much of this anticipation stems from the the film’s rumored multiple endings, which could hold major consequences for the franchise going forward. However, according to those close to the production, the film only has one ending to speak of, and that's the one we'll all see on screen. No, I saw that on the Internet and that’s crap… I read, we read we filmed three deaths. So it looks like whatever ending we get is the one that they always intended to give us. 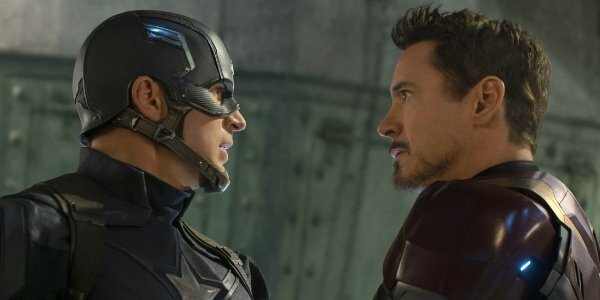 Although rumors had recently begun to swirl around the Internet that Captain America: Civil War had filmed three separate death scenes, now it appears that we can put those rumors to bed. McFeely’s statement doesn’t exactly shed any light onto what deaths may actually occur during the movie (if anyone dies at all), but considering Civil War’s grand scale, it seems possible that we could still see at least one major death during the film’s run time. Marvel Studios has thus far done an impressive job of making creative decisions with its characters and standing by them. For the studio to shoot multiple Civil War endings and decide one fits best which later seems somewhat out of character. Considering the fact that the Hollywood giant always seems to look multiple films into the future, they likely made a firm decision on Captain America: Civil War’s ending long before the film even entered production. This is very much the movie we’ve always intended on where we wanted to stand and where we wanted to leave it. All that being said, there still remains a distinct possibility that Stephen McFeely and Christopher Markus lied to Uproxx during that interview. With so many eyes on Civil War to succeed or fail, and so many fans trying to get every last details (ourselves included) it was never outside the realm of possibility that Marvel shot multiple endings as a means of throwing off prying eyes. We will keep you up to date with all of the latest and greatest Captain America: Civil War news as it becomes available to us. The film will blast its way into theaters on May 6. Stay tuned for more details!